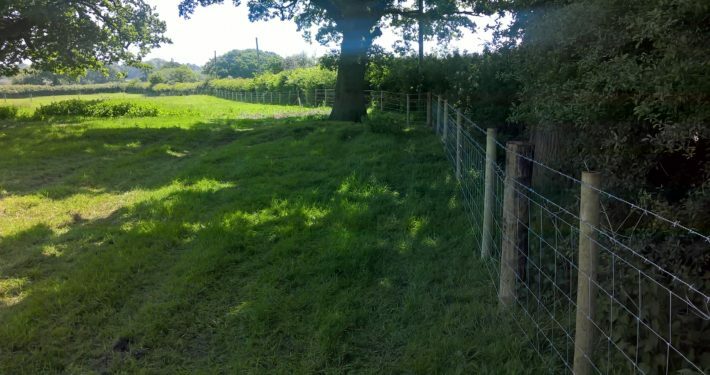 Stockdale Fencing has over 10 years’ experience in livestock fencing. The director, Tom Stockdale, has an agricultural background with 5 years studying at college and university and then 5 years in the industry. 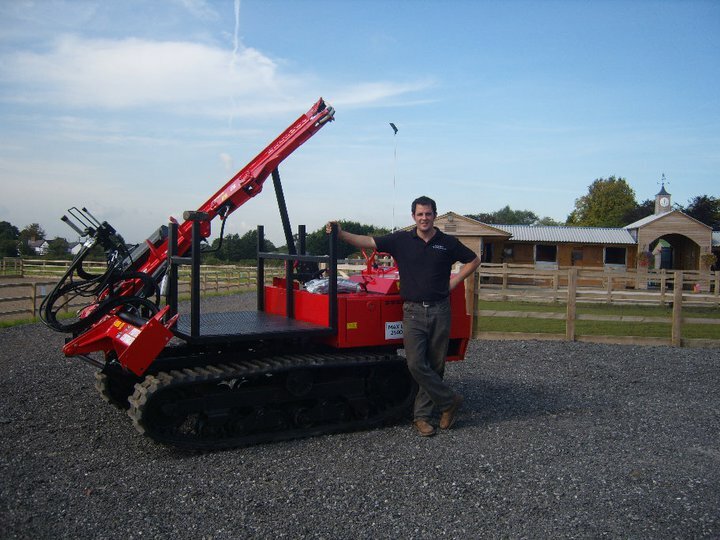 This gives Stockdale Fencing a strong understanding of the demands required for agricultural fencing. There are many variations of livestock fencing including barbed wire, netting and plain wire. These variations can also be applied to other types of fencing such as post and rail. 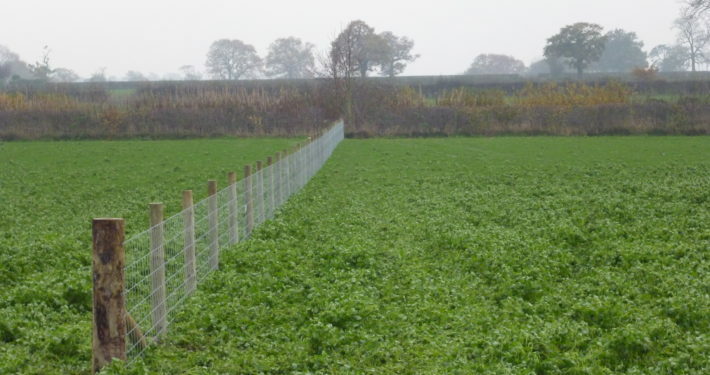 The principal of livestock fencing is to keep livestock safe and secure. 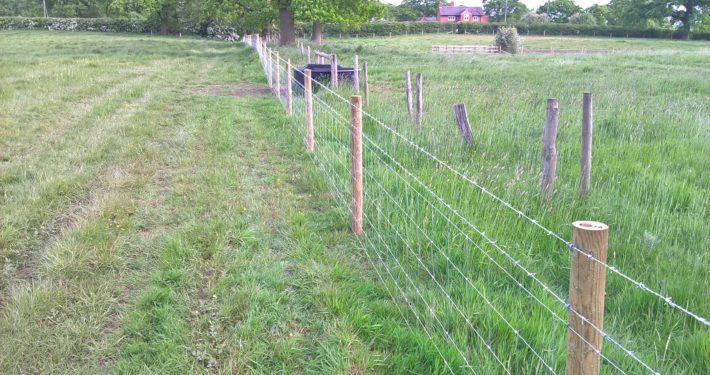 Strainer posts are driven in at all changes of direction and the wire is tensioned between the strainers to give a robust, stock-proof fence. Intermediate posts are used to support the wire. The wire is stapled to the posts to maintain a uniform spacing between them. To see the various livestock fences please open the tabs below. The netting we most commonly use is HT 8-80-15. It is made from High Tensile 2.5mm wire and is 80cm tall. This type of fence is very popular with farmers and small holders to keep animals safe and secure. The fence is installed by driving in strainers at all changes of direction. The wire is then tensioned to give a strong rigid fence, supported with intermediate posts every 3.5 meters. This fence is well complemented with the addition of one or two strands of plain or barbed wire. This gives the fence extra height to prevent animals from jumping over. It also allows the netting to be protected to stop large animals like cows from crushing the top strand of the netting. Stockdale Fencing are experts in post and rail fencing. It can be supplied and installed in 2, 3 and 4 rail options. Traditional post and rail is aesthetically pleasing and can enhance any equestrian property. Post and rail is a strong, robust fence and is proven to be safe for horses. We have various heights available to suit every equine friend, from a Shetland pony to a Warmblood stallion. We only use the finest Diamond timber from Ireland. We are expert fitters using lower ground pressure machines leaving the ground undisturbed. We use 2mm High Tensile galvanised barbed wire. Barbed wire can be used on its own or in conjunction with other types of fencing. Barbed wire fences are designed to keep larger animals such as cows safe and secure. 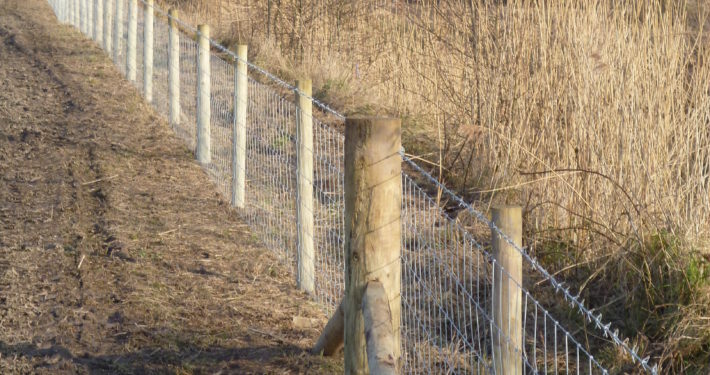 Barbed wire can be put up in two, three and four strand options depending on the customer’s specification. This type of fence is constructed by driving in straining posts at the ends and all changes of direction. Tensioning the wire between the strainers and driving intermediate posts in every 3.5 meters. Barbed wire can be used in addition with other types of fencing such as post and rail and livestock netting, to stop animals rubbing on the fence and to act as a deterrent to keep them safe and secure. Stockdale Fencing can offer a full variety of gates to meet the demands of the customer. All fitted with adjustable field gate sets, so they can be adjusted over time. Hung professionally on 8ft wooden gate posts. Variety of catches available depending on the individual requirement.